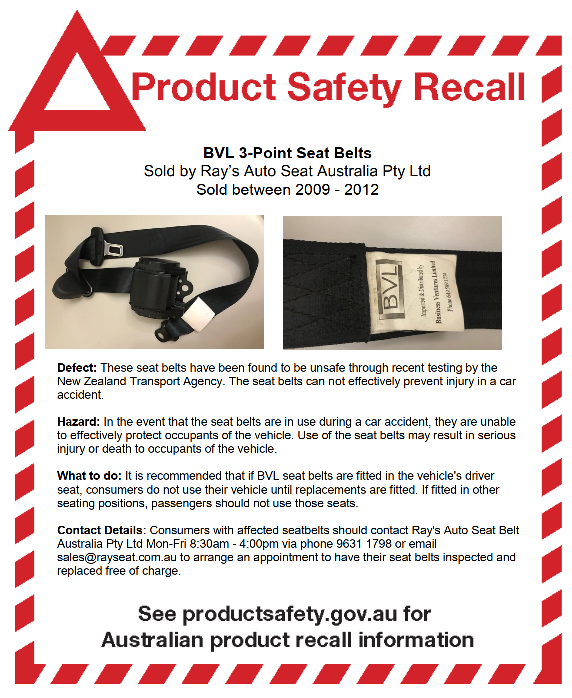 For consumers who have had seats installed at Ray’s Auto Seat Australia Pty Ltd between 2009-2011, the seat belts have been found to be unsafe through recent testing by the New Zealand Transport Agency. If the defect occurs whilst in an accident it can cause serious injury or death to the user. Consumers should immediately stop using the seats and come to our store for a seatbelt replacement. Copyright 2013 RAYS AUTO SEAT Australia Pty Ltd. Pictures on this website are examples only. Designed by OZ Wise Web.